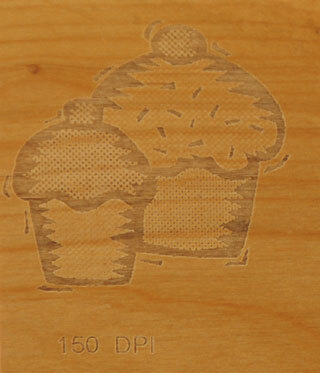 Higher laser resolution equates to finer detail in your engraving. With the exception of the Zing Starter Series, which goes up to 1000 DPI, the rest of Epilog's product line can engrave at resolutions up to 1200 DPI. 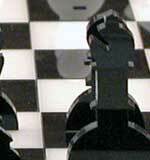 Resolution is only one factor in determining image quality. 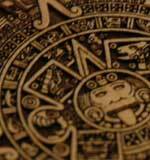 The initial quality of the artwork has a greater influence over the quality of your engraving. In other words, even the highest resolution will not improve low-quality artwork. Also, keep in mind that image quality is subjective - 300 DPI may be adequate for some images, while others require a minimum of 600 DPI. 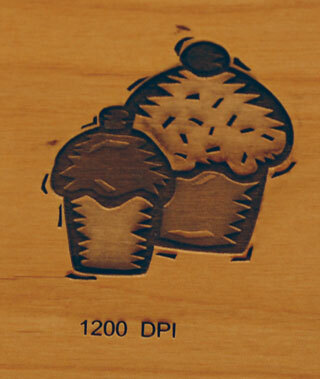 Here we'll discuss different laser resolutions and illustrate how they affect engravings. 75 - 200 DPI: Use settings in this range for non-production purposes where you're experimenting with image location or are creating a rough draft of a particular project. 300 DPI:- This resolution is ideal for production work where image quality does not need to be extremely detailed. Simple shapes, objects with little shading differences and text (especially large, block text) engrave well at 300 DPI. 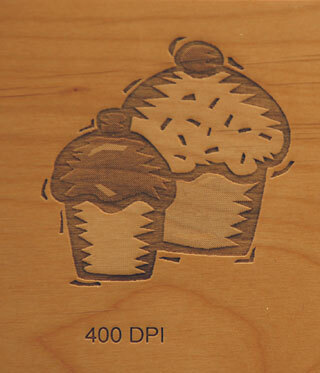 400 DPI - This resolution value is ideal for many applications. It combines very good image quality with fast engraving times. Many users like 400 DPI for all of their work. 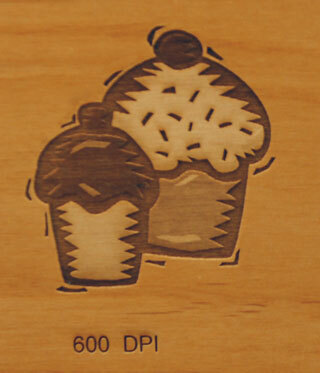 600 DPI - When exceptionally fine detail or overall excellent results are required, most users choose 600 DPI. 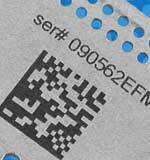 Resolution choice has a significant impact on engraving time as well. 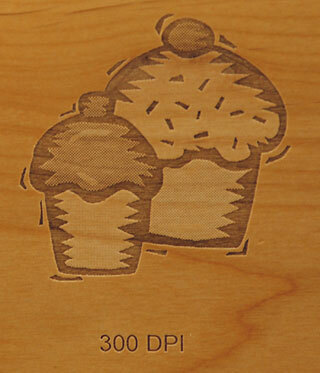 Images engraved at a higher resolution will take longer than those at a lower resolution. See the image below. Using a 45-watt Helix, we took the same gray scale clip art image and engraved it at 45 percent speed and 100 percent power. The only thing that changed between each engraving is the resolution. Can you see the significant difference in quality and engraving times? It's a matter of personal preference as to which resolution looks better, but these photos show the dramatic difference resolution can make, especially when engraving with grayscale images.